Computer services ads in Hobart. Thank you for visiting our free advertising website Computer services, Hobart section. We provide high response free classifieds and free advertisement. Use our online free Computer services classifieds placement system to find, list, offer Computer services online! .Are you a Reseller? and not happy with your current service provider? or you want to start your own web hosting business? VEBNEST offer reliable and scalable reseller web hosting solution for its resellers which includes free website builder, 100s of free scripts, whm/cpanel and cloud linux. Linux Reseller Hosting is the most popular form of cheap web hosting on the internet today. If you are searching for the best web design agency in Melbourne, then I recommend you dankdesigns. They are a leading Web Agency specialized in providing most advanced and creative website design and development solutions in Melbourne and Sydney at affordable prices. To avail our services, please do visit our website at http://dankdesigns. 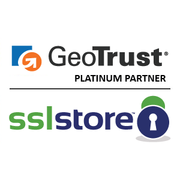 The SSLStore is an authorized and the leading GeoTrust SSL Certificates provider offering QuickSSL Premium with Unlimited Server Licenses at no extra cost + NON-WWW and WWW details, with the Geo Trust QuickSSL certificate. Enter the Coupon Code SUPER10OFF and buy or renew QuickSSL Premium at just $57. We are Industry leader in CRM innovation, including Pivotal 6.0 CRM and Microsoft Dynamics CRM. http://www.crmculture.com/. PRITHVI30E Dealing in sales and services of all type of computer. We deal in Computer System, Networking, Server, Laptop, Printer. 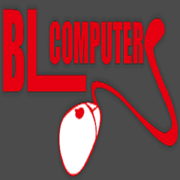 All kind of Computer Peripherals and chip level repairing also. For more information contact us 91-9924133662 or mail us on kushelectronic@gmail.com --freeadsaustralia.com. Australia free ads for Computer services, Hobart, Computer services free ads Hobart, Computer services for sale Hobart, Computer services to buy in Hobart. Find on this page free classifieds for Computer services in Hobart. This listing includes classifieds for sale and to buy in Hobart. FREEADSAustralia Hobart offers you a platform to post free advertisements or classifieds for Computer services in Hobart. FREEADSAustralia helps you search, find buy, sell, rent or hire in various categories like apartments, goods for sale, local services, cars , jobs and many more in Hobart. If you posted an advertisement in category Computer services of FREEADSAustralia Hobart before please use Edit my ads button to change or cancel your ad. Computer services Hobart ads Hobart, Computer services classifieds Hobart, Computer services free ads Hobart, ads for sale Hobart, ads to buy Hobart, FREEADSAustralia. Find here ads for sale, to buy and rent in Hobart. Goods for sale in Hobart, vehicles for sale in Hobart, Hobart real estate for sale, Hobart property for sale, property for rent in Hobart, business ads in Hobart, Hobart business classifieds, services in Hobart, Hobart services ads, jobs in Hobart, pets for sale in Hobart, Hobart dating, Hobart cars for sale.